Since inaugurating our new space, this Autumn has brought so many beautiful performances to The Willows Nest. 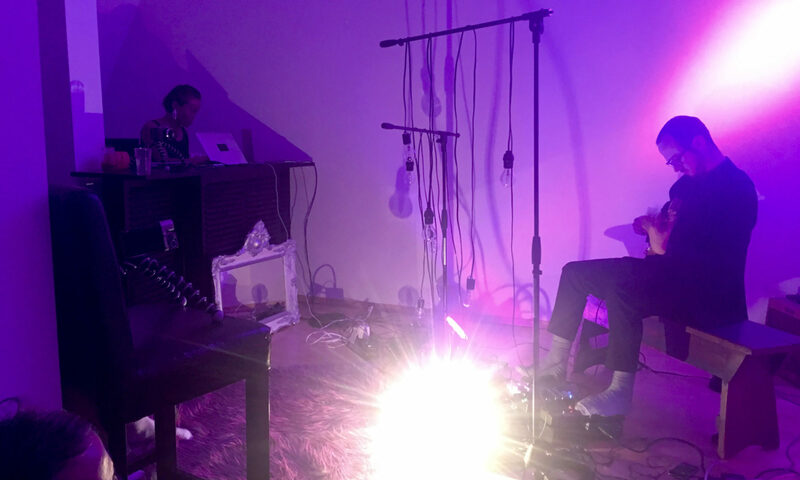 From sound artists to singer-songwriters, composers and light artists to instrument builders and finders – all have captivated audiences and shared their considerable magic at The Nest. In December, we want to highlight our Deep Listening™ workshops – Sundays from 16:00 to 19:00 we will gather to explore the sonic meditations of Pauline Oliveros and other practitioners. This will complement upcoming Dreaming concerts (see events page for more details), and overnight events! Also staring in December, we are forming a weekly dreaming workshop, designed for everyone interested in connecting more with their dreams. We will explore dream incubation, techniques for recalling and documenting dreams – even lucid dreaming and waking dreams. Join us on this journey of discovery! See the announcement on our Facebook page, or read all about them on our events page. Dreaming ourselves, dreaming our community, dreaming a new Berlin – all are welcome.